The Bryce Canyon Nation Park is spectacular. On the close by Thunder Mountain Trail you ride through a similarly stunning landscape with red sandstone pillars and hoodoos. When I was riding across the one of the ridges my senses just got overwhelmed by the views and the effort of keeping the balance on the exposed trail with wind gusts. The trail is mostly smooth with packed sand and gravel surface and can be done as a loop or as out back. 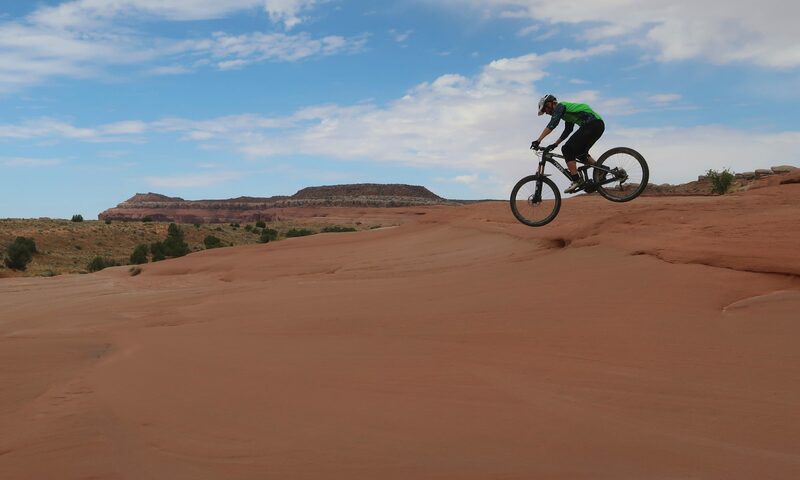 As a loop it is best done in clockwise direction, so a part of the climb is on a paved bike path from the Red Rock Visitor Center and on a forest road that ends on the Coyote Hollow Parking Lot. Because of the scenery, I recommend to ride the trail as out and back starting from the lower trailhead. Thus, you can enjoy the stunning views from different angles and have fun on the downhill with some demanding steep switchbacks. 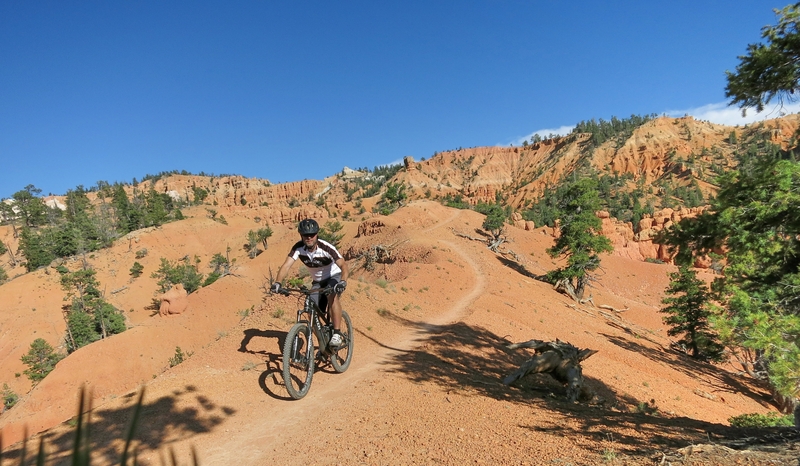 If you are in the Bryce Canyon area this trail is an absolute must. Hi Ede, thanks! Am Samstag bekomme ich Verstärkung von Jürgen.